“Maanavseva” started with an inspiration to serve the under-served in rural India in the areas of Health and Education. Founded by like-minded Indians living in the USA, it aims to take-up projects that directly impact the lives of rural population in India. “Maanavseva” means serving Humanity. In Telugu language there is a saying “Maanavseva ye Maadhavaseva” which means “Serving Humanity is serving God”. Very similar sayings exist in all our cultures across the world. 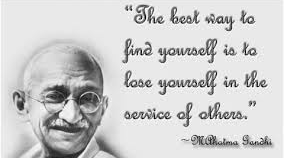 We would like to sum-up what we have in mind when we started this non-profit with the quote from Mahatma Gandhi. “Maanavseva” (Service to Humans) is a Registered Non-Profit with a mission to fight malignancies among rural women in Indian villages. The mission is achieved through activities such as educating, creating awareness, conducting preventive examinations including mammogram screenings and to facilitate hand-holding of impacted rural women with necessary follow-up and treatment. Maanavseva intends to implement above mission by adopting one village at a time and conducting 100% screening of all village women as per the health guidelines and implement follow-up on a sustained basis. The short term focus is to create a successful process for a cluster of villages that is replicable and sustainable. Maanavseva will achieve this goal through conducting pilot studies in villages, identify, resolve and document the challenges involved and arrive at a workable and sustainable model. The near long term focus is to expand the model to several villages through partnerships. Maanavseva also expects to also have its own Mobile vehicle that is fully equipped to conduct tests onsite. This will reduce uncertainties and will also be able to cover many villages at a time. Maanavseva would also try to create a productive infrastructure/office in India. The long term focus is to expand the model to several clusters of villages through sponsorship of corporations, local bodies and other Governmental Schemes. By this time, Maanavseva intends to create sufficient infrastructure in India to be able to adopt multiple villages at a time and be able to deliver the mission objectives. Cancers such as oral cancer, cervical cancer and breast cancer are a few of the common cancers in India that can be cured by early detection and appropriate treatment. If these cancers are identified early, the cost is less, treatment is less invasive, survival rates are higher and the quality of life is better. Therefore we believe that by creating awareness about these malignancies we will be able to impact the quality of life in rural villages which are mostly under-served. Maanavseva is a registered Non-Profit in Massachusetts. It is also an approved 501(c)(3) tax exempt charitable organization.